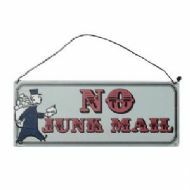 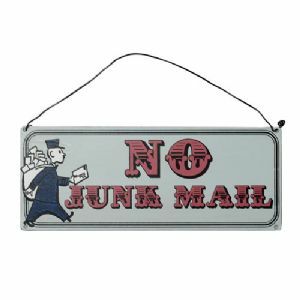 Reads 'No Junk Mail' with litle postie. 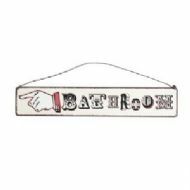 Reads 'Bathroom' with pointing hand. 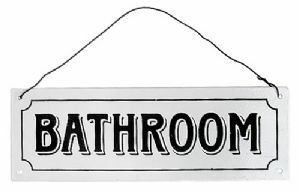 Small metal painted sign, reads "TOILET". 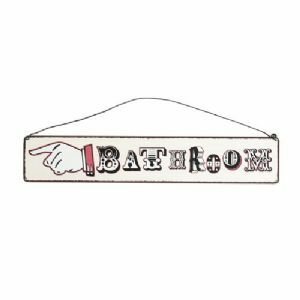 Fabulous metal sign on wire hanger. 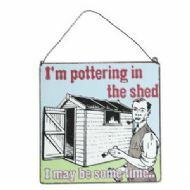 Reads "I'm pottering in the shed...I may be some time"
Metal sign with chain hanger. 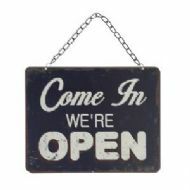 Reads "Come in we're open" on one side on the reverse reads "Sorry we're closed". 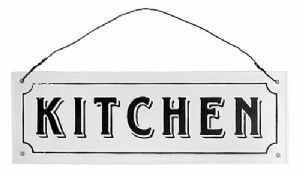 Metal Kitchen sign on wire hanger. 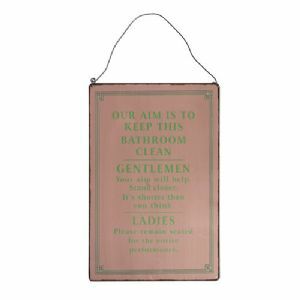 Metal sign reads "Our aim is to keep this bathroom clean. 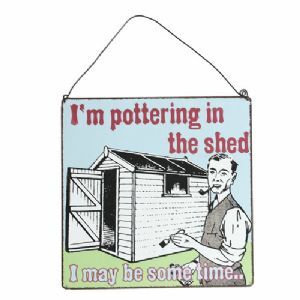 Gentlemen Your aim will help stand closer; It's shorter than you think. Ladies please remain seated for the entire performance."